"I find it remarkable that collarless shirts have been around for the best part of a century, and yet they still look ever so fresh, sharp and contemporary. Oh how I wish I could say the same about me!" "We use a special yarn and equally special spinning technique to achieve this charming chambray texture." Not sure on this, look like a surgeon just about to perform an operation! Response from Charles Tyrwhitt: With such a large range of shirts offered at Charles Tyrwhitt, we completely appreciate that some may not be suited to everyone. 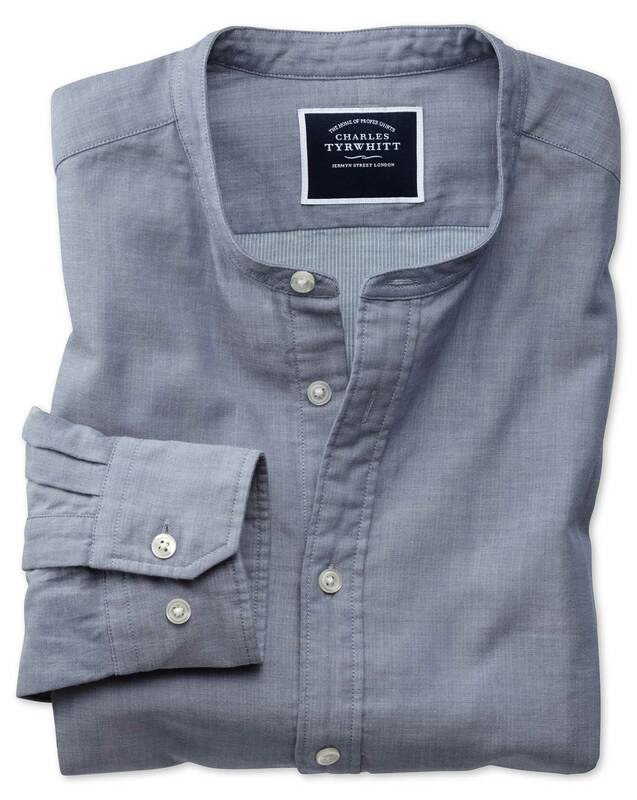 The collarless shirts (Traditionally known as the grandfather/Sunday shirt) aims to blur the lines between business and casual and is indeed not your typical shirt. We would love for you to be thrilled with every shirt you order from us, so you are of course more than welcome to exchange this item for something more suited to your taste. Good fit, well made, great feel.